The Fantastic Gates of Igboland | Exhibitors | LagosPhoto | International art festival of photography in Nigeria. The Fantastic Gates of Igbo land is a series conceived in a typical “light bulb” moment. What began as an honest curiosity evolved into something with real meaning and artistic value. This far from finished series, exists to shed light on how culture and tradition are expressed and sometimes immortalized in everyday objects. To most, a gate is just a necessary part of architecture; whose main purpose is security – keeping the uninvited out. In Igboland, gates are more than just points of entry. 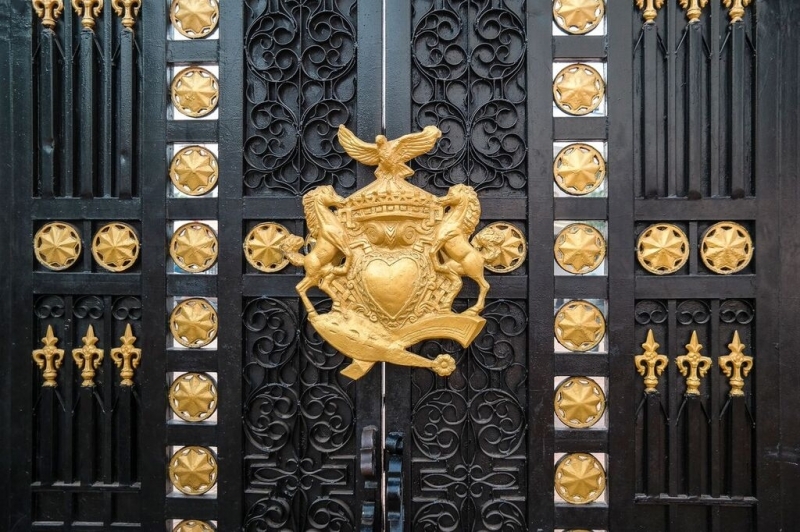 A lot of thought and craftsmanship goes into each gate. Their form follows function. They reflect the personality of the owner and values of the household. Very few cultures put as much thought into gates as the Igbos. This series aims to start a conversation about the role of gates in our society. It brings to the limelight, something so ordinary and mundane; so big and sturdy, yet so inconspicuous. Hidden in plain sight. This exhibition is but a prelude of more fantastic gates to come. Rodney Omeokachie (b. 1991 in Seoul, South Korea) is a self-taught photographer and digital artist and has been practicing since 2010. He is based in Abuja, Nigeria works with a wide range of organizations, including the Albino Foundation and AYAHAY Foundation, both in Abuja, Nigeria. Working with Photoshop, he creates artistic manipulations and composites with his images. He has hosted workshops and other creative-related events in Abuja, helping other creatives in need of guidance. Currently he works as a freelance commercial photographer. He also owns a blog where he documents his personal and more artistic projects as well as his ideas on the creative process. I like to think of myself as a cultural hybrid – a melting pot of a variety of cultures and life experiences. I want my work to be an homage to my background – by using global techniques and ideas to tell local stories -- and vice versa. My artistic journey is an attempt to fulfil that ideal – to not be limited by my location or the spirit of the times. In the end, my goal is the same as any other artist’s -- to tell a compelling story with my art. One of my greatest influences is Leonardo da Vinci. He was insatiably curious – experimenting and creating whatever caught his fancy with such energy. Like Da Vinci, my works cover a variety of subject matter as I tend to create as my heart commands. As soon as an idea or subject matter catches my attention, I follow through. As I build on my body of work, I hope to one day find the connections that bring it all together to tell a cohesive story.